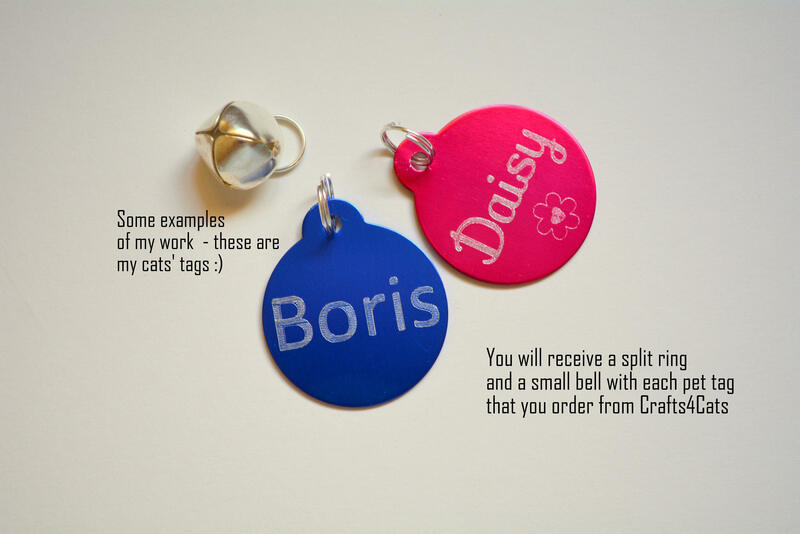 Pet ID tag with personalised engraving service - heart or circular shape in shocking pink colour. 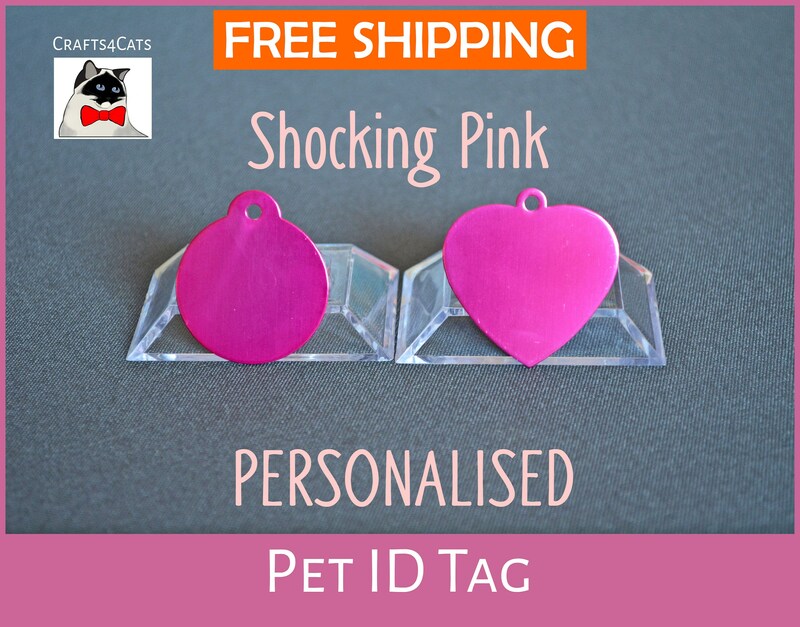 ✔ A pet tag ( a heart or a circle) in pink colour. b) The other side will contain your contact details or any other text. e.g. phone number. 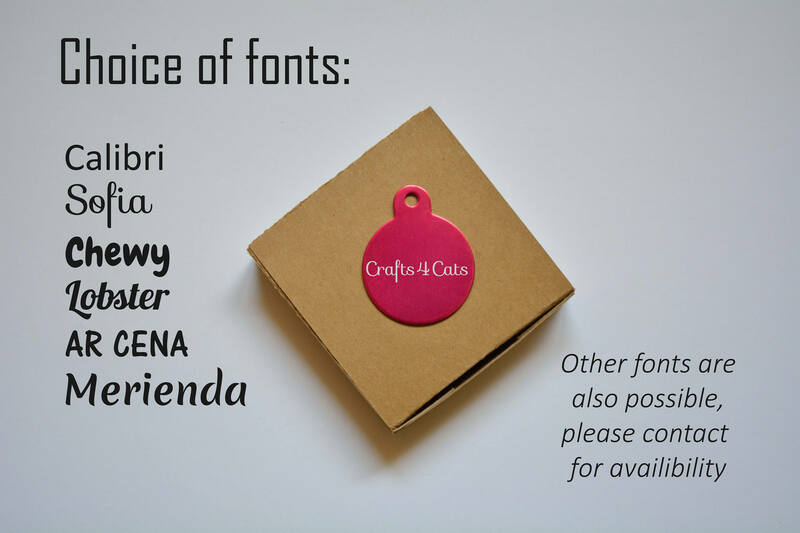 - this will be done in a simple Arial or Calibri.